GBA recently welcomed The City Bank in Bangladesh as a member. 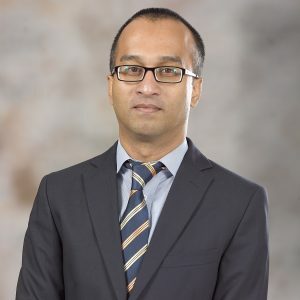 In this interview, Mr. Mashrur Arefin, ManagingDirector, spoke with the Global Banking Alliance for Women about financial inclusion of women in the country, the bank’s decision to join the Alliance, its hopes for its Women’s Market program and the role the bank plays in supporting women. GBA: For our global readership, can you share The City Bank’s market position in Bangladesh? MA: We are one of the oldest banks in a country of 59 banks. We are ranked in 3rd or 4th position in terms of profitability; we have a total balance sheet size of US$3.5 billion in assets and hold a 3 percent share of deposits and 2 percent share of loans. We are known as the biggest player in the card market, with something like 35 percent to 37 percent market share in card issuance and US$810 million in transactions. That gives us around 50 percent of the market share on card clearing business. The market is vast with both Islamic banking and nationalized banks, so the 2 percent and 3 percent shares do not do us justice. Among retail banks, in terms of lending we are in 3rdposition, and in terms of retail lending growth we have been in 1stposition for 2 years back-to-back. We are a retail-focused bank, and we recently launched our SME program as well. We’ve already given out total retail loans of US$42 million, out of which around 10 percent are women customers. Segment wise, we are more into micro and small loans focusing on SME lending rather than into conventional SME lending. Our vision is to be less of an urban, elitist bank and have a large emphasis on micro-banking in the smaller urban centers. GBA: What kind of footprint do you have? MA: We have 131 full-service branches, 375 ATMs and cash deposit machines, and 154 mini branches that are fully licensed agent bank branches – meaning they can do all the transactions that a full-service branch can. We also have 40 small and micro business unit offices. We plan to expand this network significantly through inter-agency collaboration with players like telcos and BKash, which is a payments provider backed by Alipay. Ultimately, we want to follow the African agent banking model to grow to 10,000 to 50,000 mini-branches. GBA: With a population of 170 million and a GNI per capita of $1,330, the percent of adults with an account has jumped from 31 percent to 50 percent from 2014 – 2017. What were the main drivers? MA: Digital financial services (DFS) have really driven inclusion. BKash is one of the largest mobile money players in the world, and they’re enabling people to go fully digital. They already have 35 million customers. The government and our regulator, specifically, has really enabled DFS to take hold here, and all of a sudden the game has been upended. It’s no longer a traditional market for traditional banks doing retail and corporate lending. We now have to be a modern bank; we cannot be the biggest supplier in the country without DFS. We have to be lean, and collaborate with telcos and mobile money operators. GBA: When we look at financial inclusion of women, just 35.8 percent have access compared to 50 percent overall, what accounts for this financial inclusion gender gap? MA: I think there are certain societal issues here: The husbands open the accounts; the money goes to men. Women aren’t encouraged to go to banks. When you look at the two largest cities — Dhaka and Chattagram — you will see a much smaller gender gap, but in the villages the situation is still more conservative. However, companies like bKash have more or less abolished gender-related boundaries, so things are changing. And these things will continue to change so much and so fast. Traditionally, when women in rural areas earned money, their husbands would take it from them, but even this is changing. If you look at our recent history, NGOs such as BRAC and Grameen have literally created a social revolution in rural areas. Women are saying, “This is my money.” Men cannot say to women, “You cannot have a phone.” Around 27 percent of our agent banking customers are women. GBA: What stage are you at in terms of your Women’s Market program? MA: We were inspired to launch our women banking program by attending the All-Stars Academy in The Hague a few years ago. I saw the case of Westpac, BHD León and BLC Bank, and saw that the case in Bangladesh could be similar. 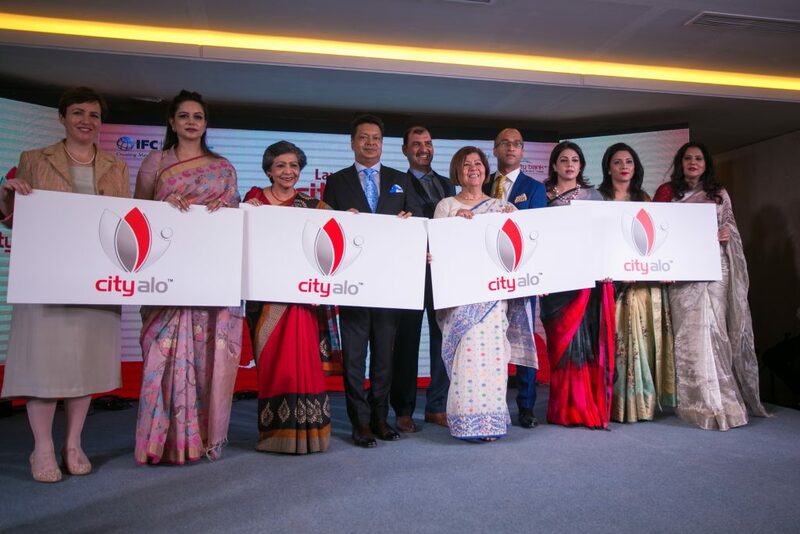 We are officially launching the program March 18th.It’s called City Alo, which means “light” in Bangla. We’re first rolling out the program to 30 of our 131 branches, plus opening a women banking headquarters, which will be a coffeeshop branch. IFC will be here for the launch; you should come too! GBA: Looking now at your own strategy, how are you segmenting the Women’s Market? MA: Our products are catering to four segments: Women entrepreneurs who are operating mostly medium-sized but also small businesses, homemakers, salaried women and professional women. For entrepreneurs we are focused mostly on business lending. For housewives we are focusing mostly on larger cities and towns where the husbands may be earning a good salary, and the wives are saving but not in a formal financial institution – so this is a deposit-driven strategy. An example of a product for this segment is our Deposit Pension Product, which encourages monthly deposits over a long term with a lump sum bonus after 5 years. For salaried women, the main products are consumer loans, home loans, credit cards and car loans. For professional women such as doctors, engineers, architects and teachers, we are tailor making loan products. GBA: We know that in many countries women entrepreneurs are positioned in between traditional commercial banks’ lending to SMEs — which is highly collateralized — and microfinance providers, whose upper limits on loans are relatively small given the nature of their underwriting process, including character-based lending. How is The City Bank innovating to provide solutions to the Very Small Enterprise segment, which women tend to be in? It is different to the group lending model in that we build a picture of the financial flows of the business and family unit, and calculate the monthly surplus after all business and household expenses have been paid for. Complementing this picture is a deep understanding of the behavior of the business and the customer. Our underwriters are based in the communities. They care about the area. They interview the prospective customer. They check their relationship with suppliers. They know which schools their children go to. They go to the business and the house. In most of the cases the borrower will have another source of income — they may have a couple of cows. Then the underwriter tells the loan officer how much he can lend, and the loan officer goes out and fills out the loan application with the customer. The loan is disbursed within 2-3 days. We call it Socio Economic Profiling of the Customer (SEL). There is no group guarantee; it is unsecured lending. A typical loan size is US$12,000, with a short loan term of 12-18 months. This is totally different from the centralized process of credit cards; it is completely decentralized. It’s like the beehive model, in the sense of us being totally enmeshed in that community and really understanding the borrower — their suppliers and buyers, their reputation in the community. GBA: What portion of these borrowers are women? MA: As of today we have 170,000 women customers in our deposit book. Women basically hold about 23 percent of total deposits at the bank. We have around 13,700 loan customers, and 10 percent of our borrowers are women. GBA: Are you seeing any diversification in terms of the sub-sectors that these women are doing business in? MA:We are seeing women in trading more and more, and also in livestock and agriculture. It’s too early to see trends, but I can see that women are more into restaurants and catering, as well as trading — beauty parlors, salons, clothing, handicrafts, etc. GBA: What do you offer or do you intend to offer women business owners in terms of non-financial services? MA:Financial and business education. We built a 100-person auditorium on the top floor of our headquarters to run training programs for women entrepreneurs. We’re starting off with monthly workshops, and we expect about 100 at each. There will be three main content areas: First, business and financing it; second, health, including bringing doctors for talks on childcare and women’s health matters; and the third area is legal, where lawyers will come and talk about household violence. We have also signed up for a partnership with the biggest university in Bangladesh, North South University, where our female customers get a 10 percent discount on a business and career management certificate course. GBA: Are the educational events open to non-customers as well as customers? MA: Yes, the whole idea is to allow both customers and non-customers to attend. At the All-Stars Academy I learned from the case of BLC Bank in Lebanon that you should never just offer these sorts of trainings to your customers. Another thing I learned from the Lebanon case is to give awards to your women customers. So we now have an awards initiative in partnership with a well-known magazine. The first awards program will be held on the 17thof April, with seven categories. GBA: Alongside your external proposition for the Women’s Market, do you have an internal diversity and inclusion strategy? What have you done? MA: This is an area the IFC has been talking about. There was not a single female employee in 2007 when I joined the bank, but now we have 19.5 percent women in a company of 3,200 employees. At the management committee level, the deputy managing director and COO as well as our Head of Finance are women. A woman is leading our women banking program and also the priority banking segment.I see more women coming onboard; we’ll have even more gender diversity soon. In terms of our bank customer base, we have 1 million active customers a month, of which 26 percent are women. We hope to have scaled our women banking program in the next 3 years. GBA: How did you first hear about the GBA and what benefits do you get frommembership? MA: I heard about GBA from the IFC first, and then I went to The Hague with three other colleagues. If I had not attended the All-Stars Academy event, there would have been no women’s program. I got buy-in from the board for it because I have launched several initiatives in my career and have a good record. Initially, when I proposed the program, the board were asking a lot of questions – but because I had successfully launched the micro segment at the bank, among other things, and had full confidence when talking about the cases I heard about in The Hague, they agreed. I am very excited and open about this collaboration.